U.N. Considering $400 Million Plan To Address Cholera In Haiti : Goats and Soda The plan could include cash payments to individuals and communities that have been affected by the outbreak. But it has its critics. For years, the United Nations has refused to publicly acknowledge that its troops were the source of a massive cholera outbreak in Haiti in the wake of the 2010 earthquake. But now the U.N. is accepting "moral responsibility" for the outbreak that has sickened nearly 800,000 people and killed more than 9,000 others. The U.N. is currently hashing out a plan that could spend nearly half a billion dollars to address cholera in Haiti. The plan includes compensating Haitians who were "most affected" by the outbreak. This may include direct payments to Haitians who got sick or lost a family member to the disease. "We see this as a very important sign of solidarity with those directly affected by cholera," U.N. Deputy Secretary-General Jan Eliasson said in a telephone interview with NPR. The 2010 outbreak, which is ongoing, has been linked to sewage that leaked from a U.N. base. 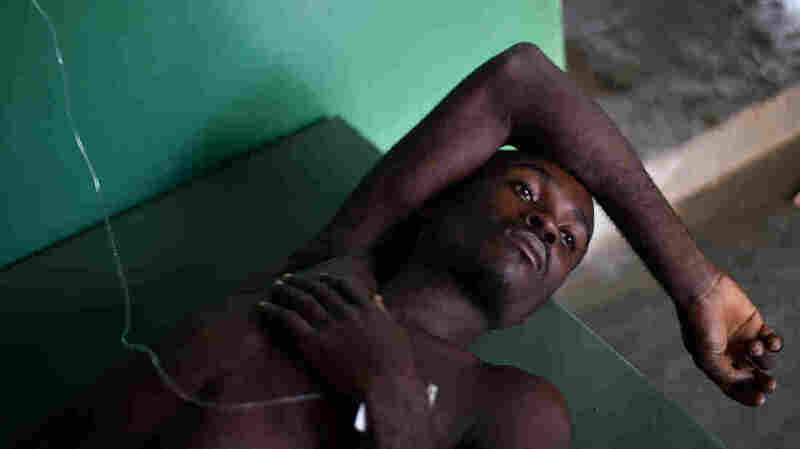 It's the first recorded cholera outbreak in Haiti in 100 years. Deputy Secretary-General Eliasson says the assistance and compensation package is still not finalized nor is it funded. Half the money is to fight ongoing transmission of the disease, he says. "The first track involves intensifying our efforts to treat and eliminate cholera as well as to improve long-term access to clean water and sanitation," he says. The second track is the compensation: providing roughly $200 million in "material assistance" to cholera victims in Haiti. The money may go directly to victims or it may go to communities that were hard hit. Eliasson says these details haven't been finalized. This proposal is a sharp reversal for the U.N., which continues to fend off legal challenges from people who contracted cholera or lost family members to the disease. Eliasson says the U.N. has not changed its legal position that it is immune from claims stemming from the outbreak. "We have immunity," he says. "For us who have hundreds of operations around the world in very poor and uncertain circumstances, we run serious risks of getting into situations where this [liability] could lead to huge amounts of damages or claims. So therefore we've developed this model that we hoped will in practice be the same as models some of the lawyers are suggesting." But Philip Alston, a law professor at New York University, disagrees. Alston, who serves as a U.N. Special Rapporteur on extreme poverty and human rights, says this new plan to compensate Haitians without accepting full responsibility sets a terrible precedent. "As the U.N. begins to operate in more and more countries around the world and as there are greater risk of these kinds of negligence claims, the U.N.'s position will be 'We are not accountable. We refuse accountability,' " Alston says. But it's not even clear if this plan will ever be carried out. The proposal still needs to be presented to the U.N. General Assembly. Eliasson says some member states are uncomfortable with paying direct compensation to victims. "Some of the member states do not consider this normal development work and would rather see the funding come from some other sources," Eliasson says. "So this is a work in progress. We expect to finalize this in a week or two." Other countries may simply be unwilling to contribute millions of dollars to repair a blunder by the world body.